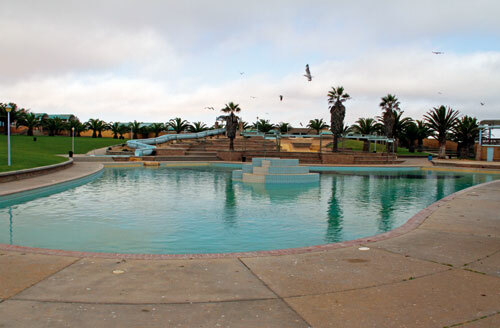 Perhaps the most famous of child-friendly sea and sand venues, the Dolphin Beach Resort and Water Park has been around since super-tubes were invented. 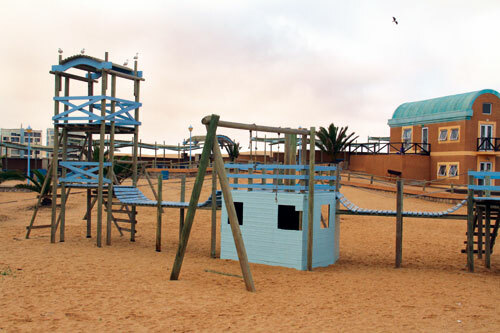 With a monster-size swimming pool, a waterslide, play park, and picnic and braai facilities, you can let the kids loose here for an entire day without experiencing a pang of guilt. Don’t forget to cover the young ones in sunscreen before you doze off on the lounge chair. Open seven days a week from 10:00 to 17:00 and on public holidays from 08:00 to 17:00. 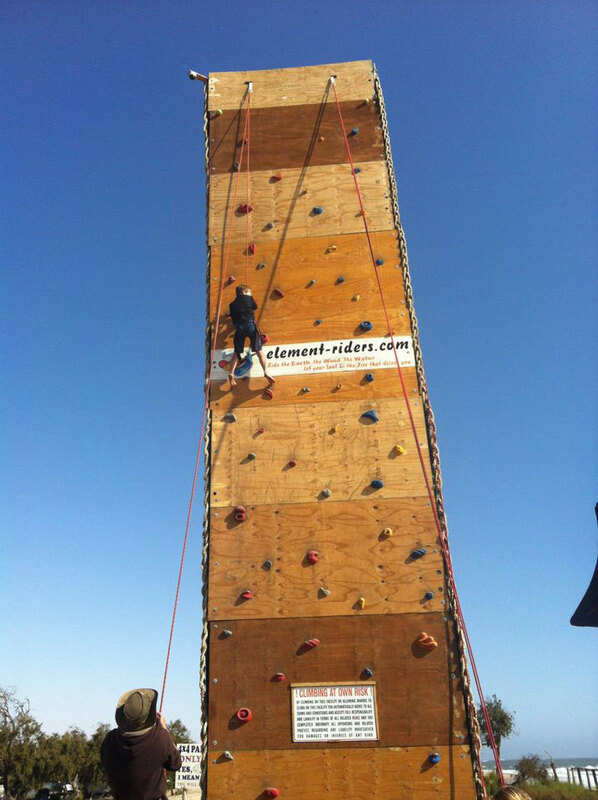 The day fee for children from six to 15 is N$12, and for those over 16, N$24. In his earlier days David Koch was a professional circus performer who wowed crowds with his acrobatic moves and daring stunts. Today he is still entertaining the masses, but in a more interactive way: by teaching the young at heart to awaken their inner circus creature at the Ground Zero activity terrain at Langstrand. Try out your flexibility levels on a bungee trampoline; see the world in 360 degrees on the Russian swing; walk the tightrope; tackle the climbing wall or compete in a life-size game of snakes and ladders. And being a circus candidate is not only for the youngsters: a local 62-year-old lady is a regular at pulling off front and back flips, which, according to David, “can be taught in less than five minutes.” The main aim here is, after all, to realise the power of your own body. Ground Zero is open every day from 10:00 until the last person leaves. On Wednesdays, Saturdays and Sundays special lunches, potjies or braais lighten up the atmosphere and invite the whole family to come and tame their circus animal. At Dune 7 Adventures, “children are our first priority,” says Louis Oberholzer, who owns and manages this activity spot next to Dune 7 with his dad, Johan. For the little ones they offer a mini-golf course, play park and swimming pool, while the ones from ‘four to 81’ can try out the Hydro Ball (‘the only place in the world where you can slide down a dune in a ball of water’). 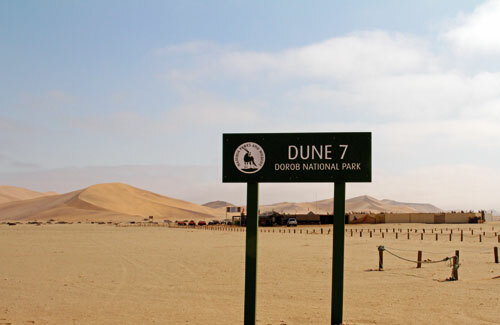 Then there’s dune-boarding, and for the more daring, stand-up sandboarding and quad-biking through the dune landscape. Dune 7 Adventures also supports a number of community projects, boasts a Celebrity Wall, hosts a biker’s shop and a craft stall. The kiosk provides light meals for hungry adventurers and staff members keep the air pumping with lively tunes till late in the evening. Getting golf or tennis lessons from a guy whose first word was ‘ball’ is already a sure sign that you’re on the road to professionalism. Walvis Bay’s ball expert and qualified sport consultant, Gert Olivier, coaches the tricks of the ball-hitting trades to anyone aged five and over. Flanked by the Bay’s unique golf course (a 9-hole course with different grassed tee boxes and sand/clay fairways) and driving range, find Gert at Walvis Bay Pro Shop at the Walvis Bay Info office. 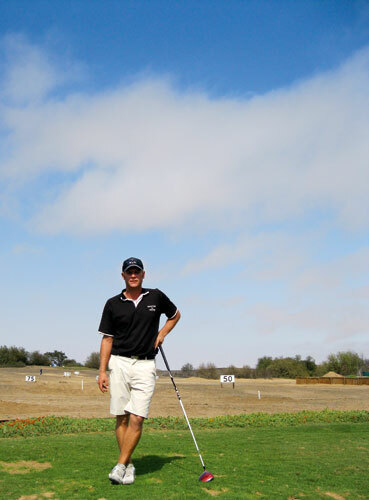 Group lessons for youngsters go for N$80, while individual lessons are N$150, lasting 45 minutes. Lessons are from Mondays to Thursdays. 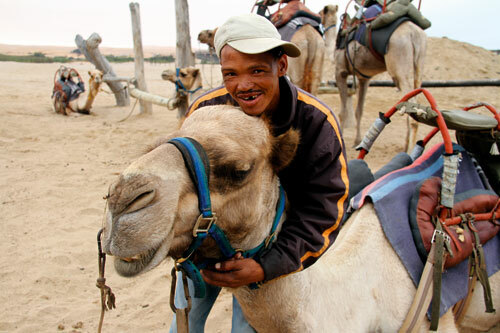 Camel guide Piet Boois is a proud man. He is even more proud of the fact that his camels are “very tame and friendly and have never spat at anyone.” He does admit, though, that getting your camel up from the ground can be an unpleasant experience. “Lean back and keep your arms rigid. Only when the camel is standing upright can you relax and enjoy the camel’s groove. A camel ride is beautiful and completely kiddie friendly!” Options range from 30 minutes to one hour rides into the surrounding desert. 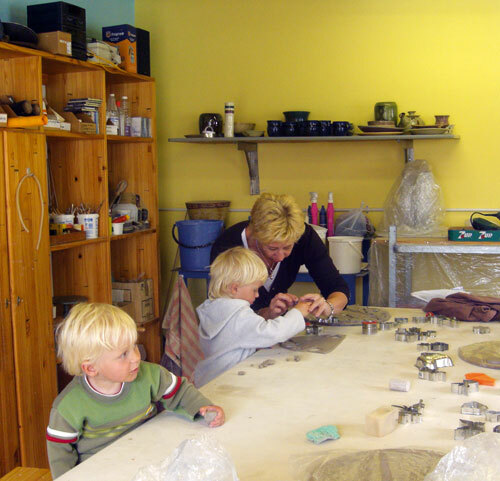 So says Carola Lorck, Swakopmund’s own pottery princess, who now also teaches children the art of working with clay. Once a week she gathers a group of kids of all ages together and guides them through the basics of handwork, building techniques, decoration, and glazing. She works and teaches from her own studio where she fires the end product in an electrical oven through an oxidation process. 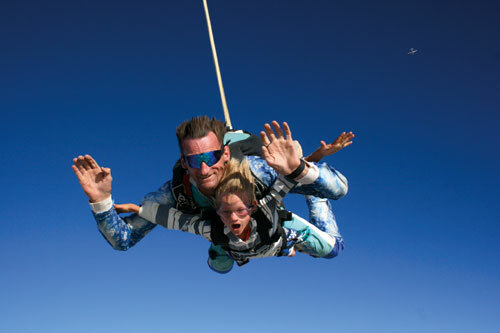 Although skydiving is not usually marketed as a child-friendly activity, it is certainly an option for today’s active (and easily bored) youth. As long as you can fit into a harness, you’re good to dive the skies. A tandem introductory dive goes for N$2 000. A fun activity for adrenalin searchers and the speed hungry young (from ages 10 and up), R&R Karting offers the chance to take a turn at mastering the grand-prix… mini, that is. This is a great activity for blowing off some family tension, so put grandma and little bro in a kart and see who’ll be crowned master of the race course. With a tarmac track covering 520 metres and karts reaching speeds of up to 70 km/hour, it is possible to feed your need for speed without the risk factor. The only prerequisite is for racers to have a minimum height of 1.45 metres. 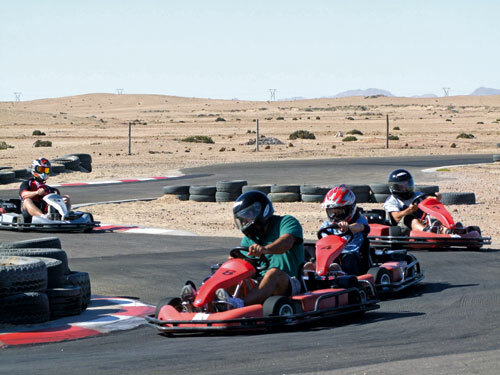 Find the go-kart track at the entrance to the Swakopmund Airport. Open from Tuesday to Friday from 15:00, weekends and public holidays from 10:00 and in December and January from 09:00. The track is open till sunset. 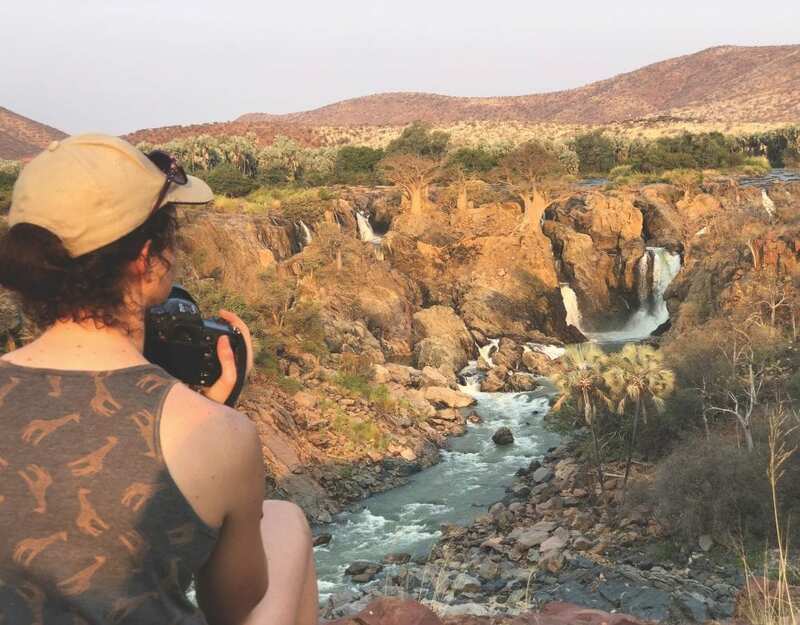 The main aim of the team at Element Riders when ‘taking you along for the ride’, is to teach you how to tackle and master those radical outdoor sports you’ve always fantasised about. Experience life in ‘a more intense way’ and join the team for surfing or stand-up paddle-boarding. Both activities are offered for children as soon as they feel comfortable in the water and can swim, as is climbing for those over six and kite-surfing for 12 and over. 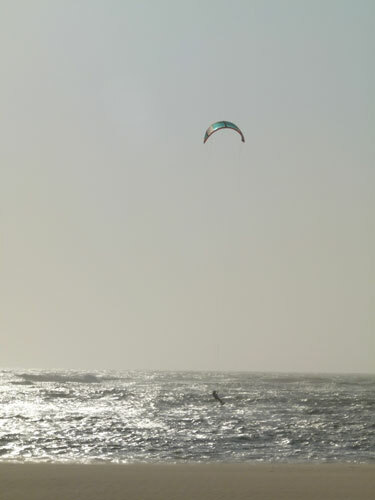 Keep in mind that kite-surfing is wind dependent. We recommend that you bring your own wetsuit along for water-based activities – the Atlantic and its Benguela Current hosts notoriously cold waters! Boards are provided for those learning to ride the waves, and can also be rented for private use. 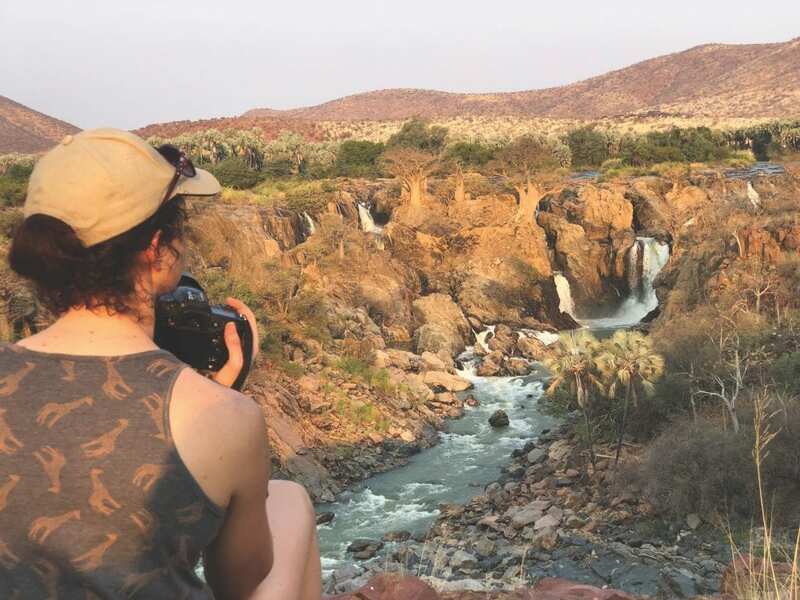 “By participating in these sports, you learn to face and experience aspects that give rise to greater appreciation of nature, and the physical, philosophical, and spiritual aspects of life,” says Geesche Neuburg, one of the main adventurers. “Like these dolphins swimming forward in one direction, all Namibians should join towards the future of our country.” This is the note on the first installation you see when entering Swakopmund Museum. And yes, it’s a group of green marble dolphins originating from the Nonidas quarry. 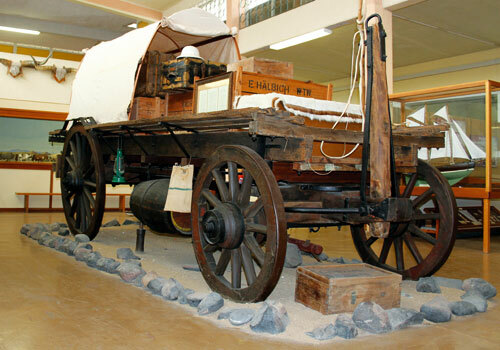 The point being made is that our country is rich in history, and to have it all assembled – including that of our natural heritage, people, botany, animals, archaeology, and geology –under one roof, is an educational bonus of note. Open daily from 10:00 to 17:00, all displays showcase information in English, Afrikaans and German, with guided tours as an added option. Fees are N$10 for children between six and 15, while those over 15 pay N$25. School groups are given a discount of N$5 per student.